Its that time again! 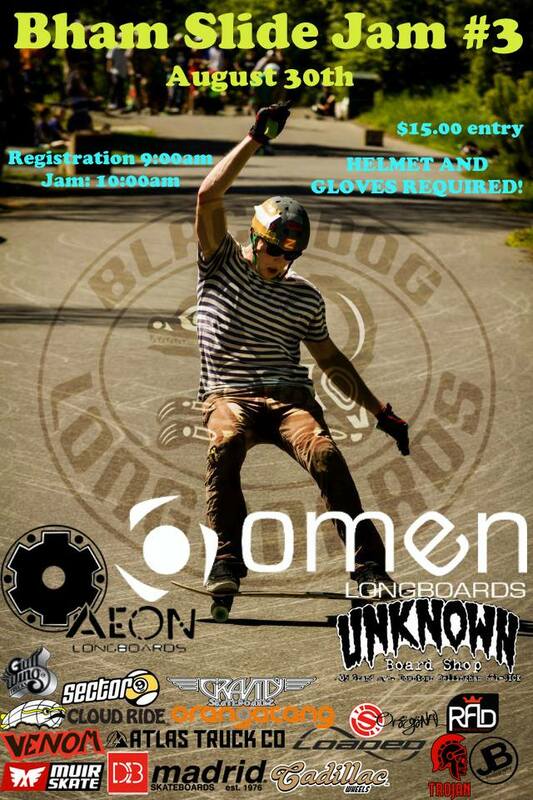 The Bham Slide Jam is going down for the 3rd time! This year it is going to be bigger and better than ever! We are going to have more features than ever before! Ramps, rails, you name it! -IF YOU ARE LATE YOU DON”T COMPETE!!! -IF YOU DO NOT HAVE BOTH A HELMET AND SLIDE GLOVES YOU DO NOT COMPETE!!! WAIVER REQUIRED! Please print out a waiver ahead of time. There will be waivers to sign at the event if you are 18 or older, but there will be a limited quantity. If you are under the age of 18 you must print out the waiver posted on the page and have a parent or legal guardian sign. -IF YOU DO NOT BRING A WAIVER SIGNED AHEAD OF TIME YOU WILL NOT COMPETE!!!!!! Also, be aware that this is a family friendly event. The neighbors are the most accommodating people I have ever met! They are the ones who allow this to happen! So, be kind to them. Treat them, and their property, with respect. If anyone has a problem with this, we reserve the right have you removed from the event.